I’ve gone cross-stitch crazy. If you follow me on Instagram then you’ve probably seen some of my #SundayStitching photos. Cross-stitching has become my favorite warmer weather fiber craft. When it’s 100 degrees outside I’m not always in the mood to do any knitting or crochet. The yarn between my fingers and the weight of the project in my lap only seems to add to the heat. And that’s when I turned to embroidery and cross-stitch. It’s still a fiber craft and I’m even still using a needle. It’s just not a knitting needle. And there are a TON of really great and modern free cross-stitch and embroidery patterns available. 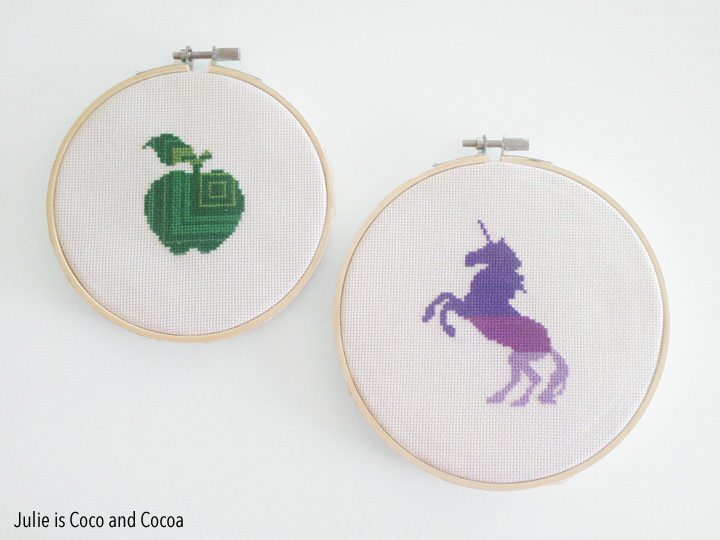 Including the patterns for this apple and unicorn that I cross-stitched recently. I strayed a little from both of the patterns. The apple was a lot more colorful in the pattern, but I decided to do it all in shades of green. And the unicorn was solid, but I decided to give it a little ombre treatment. Counted cross-stitch is certainly as time consuming as knitting is (not a fast hobby by any means) but I’m really having fun with it. If you use the pattern I’d love to see your finished project! 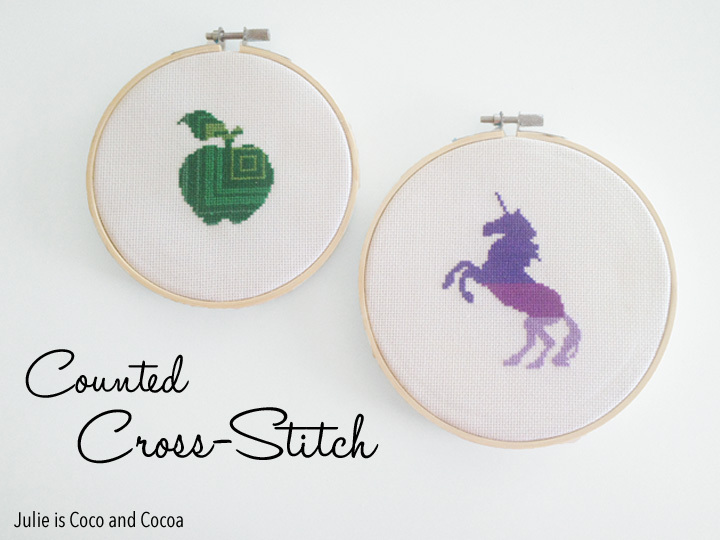 Thanks so much for sharing on craft schooling sunday, love sweet little cross stitch patterns too, though have yet to do anything recently! This is awesome! 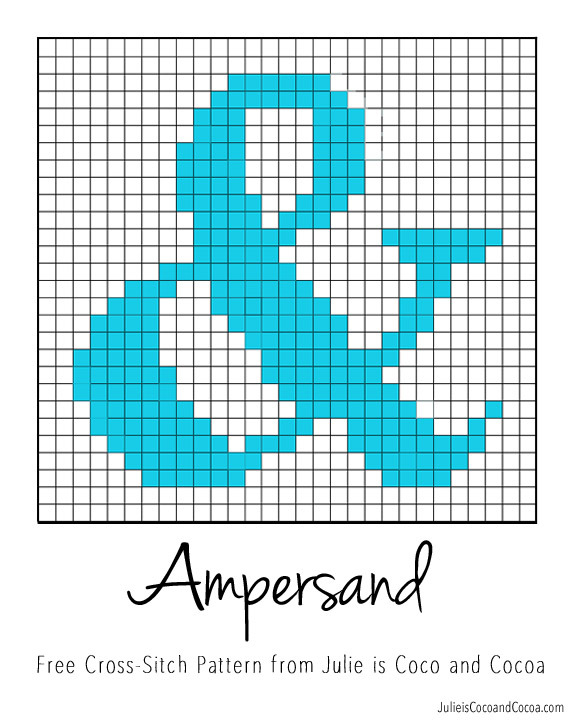 I love ampersands toooooooo, and I’ve been wanting to get back into cross stitching. 🙂 Thanks for such a fun jump-start! How fun!! 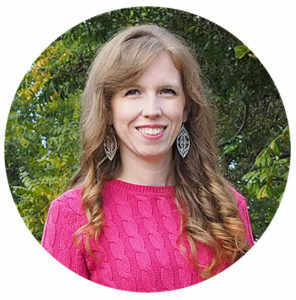 I would love to have you share at my new link party: http://craftymomsshare.blogspot.com/2015/10/crafty-weekend-thanksgiving-activity.html.